Binary Options Trading has only become popular in recent years thanks to their addition to the North American Derivatives Exchange (NADEX) and Chicago Board of Exchange (CBOE) in 2008. Ever since their addition to these exchanges, their popularity has continued to exponentially increase, largely in part to the simplicity in trading, fixed odds and rewards, and the ability to trade at any time of the day. 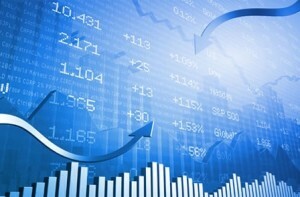 Binary option trading refers to a type of option on any commodity which expires within a pre-determined amount of time. They can be traded on virtually any commodity on the market, including oil, gold, stocks and foreign currencies. Binary options trading through an options broker works in the following way. If the price of the commodity decreases within a certain price range at the time of expiry, an investor will be „in the money” which leads to a significant return on the investment, sometimes as high as 80%. However, if the price is not within the pre-determined range, an investor will be „out of the money” and will lose almost their entire investment. This is the reason why they are called binary options – there are only two possible outcomes. An investor may either obtain a high return on their investment or virtually lose everything. - Hi-Low Platform: This is the simplest of the three. The objective is to work out whether a commodity will be higher or lower in price at the time of expiry compared to the price at the point of purchase. - One Touch: The objective is to determine whether a commodity will or will not reach a certain plateau in price before it expires. Keep in mind that the commodity does not have to stay at the price at the point of expiry, but just has to touch it once between the point of purchase and expiration. - Range: The objective is to decide if the price at expiry will be inside or outside a specific range of prices. An investor will be „in the money” if they decided a price would settle inside a certain range. If the commodity ends up being above or below the range, the entire investment could be lost. The simplicity of binary trading is probably regarded as the biggest benefit. Investors only need to decide whether they think a commodity will increase or decrease in price upon expiration. As an investor does not need to have a strong idea of the magnitude of the increase or decrease in price, binary trading is an ideal way to trade considering the volatility of markets. The fast turnaround times enable investors to experience quicker results. These turnarounds can also help an investor learn at a faster rate as they begin to understand how the market reacts to specific financial news within a given amount of time. Thanks to the online nature of the binary trading platform, investors can see invaluable information before, during as well as after they place their trades with an options broker. Investors will be more likely to make a better informed decision thanks to being able to access plenty of useful information. This information may be on past expiries as well as the historical information and financial news on the commodity. As a minimal amount of investment is needed to start trading with an options broker, anyone can start trading regardless of their job status or financial background. As the expiration time for binary options can be daily or even hourly, the market outlook is very short term in nature. Combine this with the fact that there tends to be a lot of random movements in the market, it can be very hard to predict in which direction the market will move. If an investor tends to be poor in forecasting market direction, he can lose a significant amount of money in a very short amount of time. Investors will have trouble disposing of binary options before expirations and will therefore have to wait for the expiration time to arrive. Therefore, binary option trading can be considered as being illiquid. In the case of an investor wrongly predicting in which direction the market will move, almost the entire amount of money which was invested could be lost.